What's the chances of an open Mike without politics or Rob Ford talk? The chances are zero since you just brought it up. I won't bring up politics in this open mike if you guys don't! Anyone ever been to Junquestock? It's held annually in Bracebridge. And, it's this weekend. Yep. Referring to one's self in the third person is just weird. Toronto Mike believes it's the sign of an oversized ego. Well, the countdowncontinues until Monday, September 8 when my Cardinals play their first game. I say it's less than six weeks away now. Let's hope my trainer's wife wins on Sunday. I still don't know if they won the last game because she didn't play it. I want them to win the cup though. I gave that bag of granola to my trainer. I don't like granola, yuck. Everything we know now suggests MH17 was shot out of the air by Russian-backed rebels. We know they've shot down other planes recently, we know they obtained BUK missiles, there's even evidence they owned up to shooting down a plane at the same time and place. So when it's determined Russian-backed rebels are responsible for the death of 298, how does the world respond? How is Putin held accountable? What happens next? Shouldn't it say "if' it's determined? And if it is determined that Russian-backed rebels are responsible, the world does nothing. Lots of rhetoric, a few sanctions, then it becomes background noise when the next outrage or tragedy takes its place in the news cycle. Sad but true. What can the world do? Sanctions, words and finger waving doesn’t affect Putin. And is this something we get the military into Russia for? Is this something the world must respond to? It’s a tragedy and it would be nice if Putin was involved he could be arrested and put on trial. However, we are separate countries and the arresting Putin would incite the very war we would want to avoid. This may be a first, but I agree with Nigel. I'm not defending Putin but its likely these rebels acted on their own - without Putin's authorization. Putin and Russia has nothing to gain by blowing up a Malaysian Airline plane. Unfortunately, there's not much the world (even the US) can do about this. No one wants to get in a war with a country that has the nuclear capabilities like Russia. What where did these Russian separatists get their Buk missile system from? @Mike: I'm catching up on the podcasts. I've listened to the recent ones, and am filling in the gaps since around episode 50-60 that I missed. Doing good, but have a suggestion for you. Avoid asking guests if they've listened, especially to a specific episode. It's along the same lines of what they tell writers... if you're in a meeting, especially with an executive, even if it's a meeting about your script... NEVER ask them if they read it. Why? Because chances are they haven't-- too busy, an intern read it, they've got the synopsis. OR they have read it, and personally didn't like it, but want to option it anyways. In either case, it's putting them in a very bad spot. Either they have to lie to you and say the did read it, or that they did like it-- or they have to admit the unspoken truth that they haven't read it (even though they're in a meeting about it). Or that they didn't like it (so why are they buying it). The same goes here. Each time you asked, noticed how the person got kinda hesitant, paused a bit, then very uncomfortably answered "no, I haven't listened to your podcast / that episode". It puts them in a bad spot. What's going through their mind is-- are they going to offend you. Are you expecting them to have listened? Will they should like a jerk by saying "no" in your house? If you want to bring up a topic of discussion from an earlier podcast, be sure to do it diplomatically, in a way that lets the other person contribute without the expectation that they've listened to you. So, let's say you want to talk about Erin Davis with a future guest. Don't tell them "Did you listen to Episode 84?" Instead, go with something that summarizes her time on the podcast, raises the topic of "Erin Davis", and lets the guest tell their own stories. Guest: "I used to work with Erin Davis." TM: "Erin Davis, she was on the Podcast earlier, episode 84. She had some great stories about her time in radio. Any stories about her you want to tell?" Obviously not that wording... but notice how it's open ended, doesn't require them to have any knowledge at all about what Erin talked about, and doesn't limit them to just expanding on what a previous guest said. 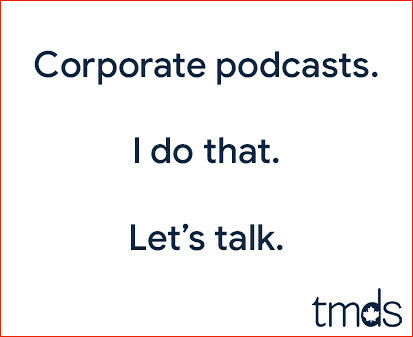 Keep up the good work with the podcasts, and always count the mics before the guest leaves (or check Todd's pockets). Agree with Nigel. I think what the world response to MH17 will be about the same as when the Russians shot down KAL 007. Does anyone actually remember what that response was? Humm...The press, How come within an hour it was reported MH17 was shot down by long range missels and where they were fired from? Yet another plane has been missing for 5 months and no trace of it. How come? Her, I dunno. Maybe because MH17 is a smoking pile of debris in plain sight, and never left radar tracking, whereas MH370 essentially was lost to all communication and is likely somewhere at the bottom of a vast and extremely deep ocean. Does that help? The world's reaction to MH17? Anyone remember the world's reaction to Iran Air Flight 655? Just curious, is the Molson Indy still a popular summer event? Having lived 'down there' for some years I must say the smell and noise and fumes and heat was never popular with me. It was a bit like like having the air show on a track around your house. "The after-burners just took out Grandpa." Just glad I'm in the burbs and can avoid the traffic chaos. Okay, six weeks and two days until my Cardinals play their first game. That's less than two months, definitely and a month later and we have my Habs at the Leafs. Subban is going to score lots. I wish Briere was still around, but he's not. Oh well, the others will step it up as well. Anyway, hopefully no free granola next order. Well, I hope my trainer likes the granola. The only winning month the Toronto Blue Jays have had in 2014 is May. That's starting to look like an abbreviation and not what we should expect the rest of the season. They struck out 17 times against the worst team in baseball. I suggested this two months ago, and then stated my where-reasonable boycott of Rogers here at Open Mike forums. You gave a podcast platform to Rogers' top radio personality. If Putin wanted to make a statement to the world that he really is a Human Being, he would immediately order the Pro Russian Rebels to back off from the crash site and let the international investigators do their job. What is happening now according to on site CNN reporters is disgusting and deplorable. And yes @ this guest CNN is on the scene with cameras and machine gun fire in the background! Disgusting!! But I guess in your tiny mind this is all a conspiracy . Like I said, tiny mind!! Hmmm. I've always championed this guest's participation here, especially when he(?) used the sort of haiku style of commenting. Lately, I don't know what to think. this guest, could you compare and or contrast Hitler and Stalin in that format you're most recognized for? Shot in the dark, that this guest is of Russian heritage. Well, I bought some new music yesterday on ITunes. I got Brett Kissel, an up and coming singer who is really good. I got a Bob Seger album as well, another one. It's called Early Seger Volume 1. It's awesome, that's for sure like Bob Seger is really really awesome. I love him and he is going to be the king. Elvis shouldn't be the king. Well, I like two songs by Elvis, that's it. I like Kentucky Rain and Suspicious Minds. Well, just rechecked my schedule and the football game on September 8 isn't until 10:20 when my Cardinals play the Chargers. There is an earlier game though. I thought there was just one game on Monday nights, but they changed things and my Cardinals play too late so I have to miss it. I don't know what else to do. "Many intelligence reports in war are contradictory; even more are false, and most are uncertain." Clausewitz first entered combat as a cadet at the age of 13, rose to the rank of Major-General at 38, married into the high nobility, moved in rarefied intellectual circles in Berlin, and wrote a book which has become the most influential work of military philosophy in the Western world (and beyond). That book, On War (Vom Kriege in the original German) has been translated into virtually every major language (there are, for example, 33 Chinese versions*) and it remains a living influence on modern strategists in many fields. 45 years ago today I remember watching black & white TV at 10:30PM - "that's one small step for man & 1 giant leap for mankind". I haven't heard Terry Stafford sing Suspicion or Suspicious Minds. Anyway, Paul Wainwright died yesterday. Radio announcers are dying like flies. Paul Wainwright worked at CKOC in Hamilton with Ray Girard. He was only 57. It's not fair. I have no idea why he died so young, but he did. Well, that Bob Seger album I bought on the weekend is really good. It's unreleased stuff as well. There is talk about new stuff coming out by Bob Seger so that would be good. Well, that first football game will be too late. The rest of them are on in the afternoons though like I can count down to September 14. That's the next one at 1:00 p.m. which is a better time. Go Cardinals.